Call Delivery Systems is an advertising and research call management platform. We buy unwanted calls from telecom providers and invite the caller to hear an advertisement or participate in a research study. Unwanted calls include misdials to unassigned numbers/idle inventory and press 2’s . We turn write-offs into revenue for telecom providers by paying the MRC and the per minute rate for these Unwanted calls. Telecom providers traditionally handle unwanted calls by playing dead air or playing a message such as, “Your call cannot be completed as dialed” and then ending the call. But, instead of playing dead air or a message, telecom providers now instantly transfer millions of these calls to the Call Delivery Systems soft switch and IVR (Interactive Voice Response) platform. Direct your MIDI calls™ through the CDS platform, where they’ll be delivered to highly specialized, consumer-friendly, TCPA compliant, and profitable campaigns. CDS provides an online dashboard for call traffic monitoring and real-time analytics. Each carrier partner works with an advanced Telecom manager. 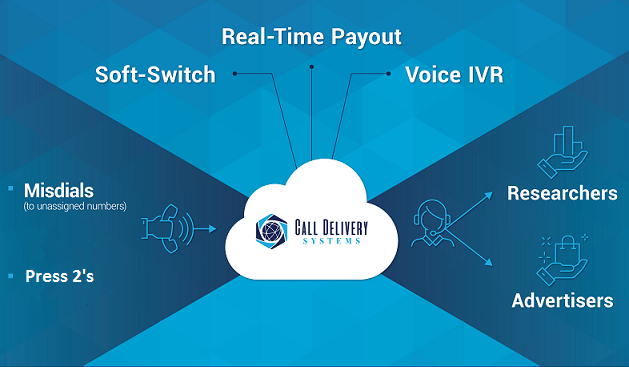 Call Delivery Systems is currently offering a variety of revenue generating methods with all carrier partners. The caller entered one or more incorrect digits and therefore didn’t reach their intended party. The caller called a phone number that is no longer in service. The caller received a busy signal, or due to technical difficulties, the call did not complete. A call that is initiated by the caller rather than the market research company. U.S. and Canadian telephone carriers route in excess of 150 billion calls per month, 5 to 10 billion of which never connect to their intended destination. Traditionally, failed call attempts referred to as MIDI calls™ (misdials, incomplete, disconnects, inbound) – end up in phone network oblivion, representing a missed opportunity and possibly unwanted costs. Often the recipient of these “wrong number” calls, via its bank of more than 200,000 toll-free numbers, Call Delivery Systems has figured out a way to turn these mistakes into a business opportunity through its proprietary platform. CDS operates with full transparency, 100% white hat practices, and complete legal and FCC compliance. Monitor your MIDI call™ traffic, and active campaigns in real-time.